Bharatnatyam is one of the most ancient dance forms in India. It originated in Southern India and now it is practiced all over the world. Famous celebrities like Hema Malini are trained classical Bharatnatyam dancers. Indeed it is one of the most culturally rich dance forms India ever has. Now when it comes to songs, there are actually a handful of songs that are completely dedicated to this type of dance form. There are different Raagas which are made for Bharatnatyam. 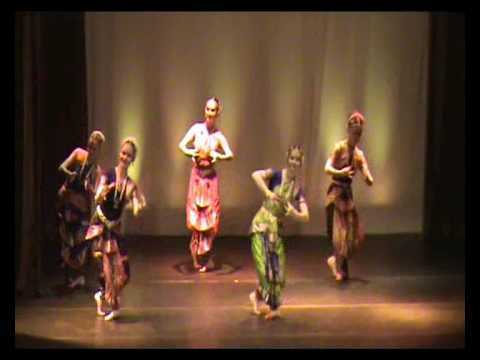 Most of the songs for this dance form are composed in South India because as already mentioned – the dance form is widely practiced in that part of the country. Apart from this there are also several songs which are basically dedicated to the lords. We have collected 10 of such songs which are ideal for Bharatnatyam. In fact they are quite common among the dancers. These songs are classical by nature but apart from these also there are other western songs on which dancers prefer to perform these days. This is a very striking Bharatnatyam song. This song praises Lord Ganesha – the remover of all obstacles. Therefore the dancer can put a lot of the features of the God in the dance. The song is sung in Sanskrit and therefore the lyrics appear ancient. However, it manages to retain the true essence of the song. This is a very interesting song. Once again this song is sung in Tamil language. The song is about a mother talking to her child and therefore it contains a lot of the motherly love essence in this song. Here, Lord Krishna is seen in the female form and the compassion is attached to his form. Once again this is a song that depicts the different moods of the Goddess. Since most of the Bharatnatyam songs are composed by the southern Indians, the Gods and Goddesses spoken to are also of South Indian origin. This is why here also we see the Goddess Meenakshi depicted in this song. It basically shows the moods of the Goddess. Do you remember the folk lore? If you do, then you would know that according to legend, Lord Krishna defeated the snake which is often referred to as “Kaaliya.” But according to the South Indian terminology, it is often referred to as “Kaalingan.” So this song is about that very incident when Lord Krishna defeated Kaalingan. Once again this song is heart touching – it is mostly a prayer. The lyrics here talk about the different Gunas of Lord Rama. The song also pleads Rama and questions him as to why his prayers haven’t been answered yet. This song literally beckons Lord Rama and asks him to come and answer his prayers. This Tamil song is once again an excellent choice for you to dance to. It captures the essence of the dance moves and it is not as emotive as the other tracks on this list. Basically this song is capturing the grace and beauty of Lord Krishna. It also praises the melody of Krishna’s flute. All the songs in this list are about the Avatars of Lord Vishnu – it is either about Krishna or about Rama. But this song is about the Nataraj himself. Yes, this song praises Lord Shiva and here you are shown various other names of the Lord and there are many things you can add to the movements here because of the versatile nature of the God on whom this song is based. Also known as Azhagu Deivamaaga Vandu, this song is very intense. It praises Lord Muruga in all his glory and it is one song that you might want to perform with utmost clarity. It is of course sung in Tamil. But the overall feel of this song is very folk-like, although the song is devotional at heart. Lord Krishna (Top 10 Janmashtmi Krishna Songs) was very naughty as a child. This is why there are several folk songs about arguments and talks between the two. This is just one of those songs but the specialty of this song is that it is in Bharatnatyam tones. You can easily track how the lyrics match with each note and therefore this is an easy song to choreograph. This song describes Lord Krishna and his pranks. This song can be classified as an emotional one but there is also a lot of mischievousness in this track as it depicts his pranks. Overall, you can say that this is one of the fun songs and is easy to perform as well.